Here’s one of our new neighbors, Oberon Summerdream. We don’t see him a lot, but when we do he usually comes home and can’t figure out which house is his. Well, it didn’t take long for me to figure out why I was feeling so tired and pukey. We were going to be moms! It was so exciting! I got up before Hetal and went downstairs. I thought maybe I’d clean up a couple of the dishes somebody left out on the floor a couple of days ago. I mean, soon there would be a baby here, and I wanted the place to be nice for little him or her! 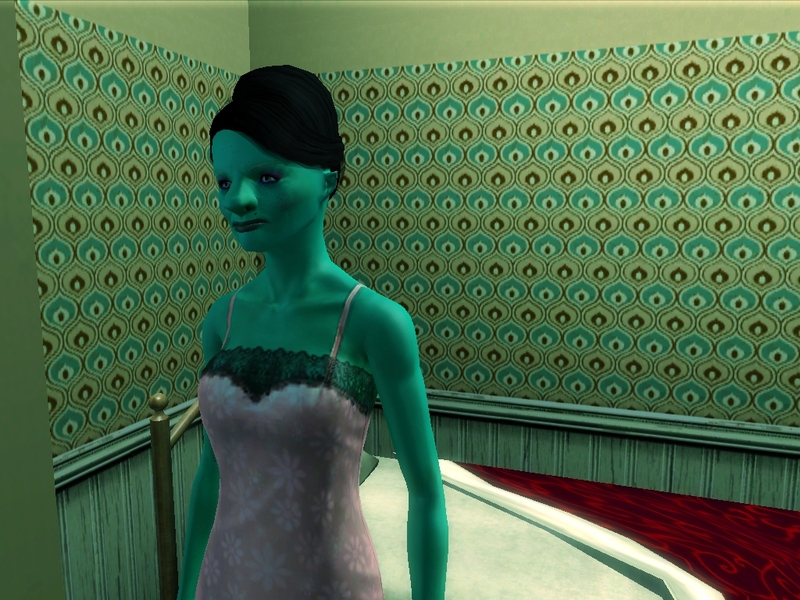 When Hetal wandered downstairs, I thought I’d get her ready for the big news by being really gross and shocking. 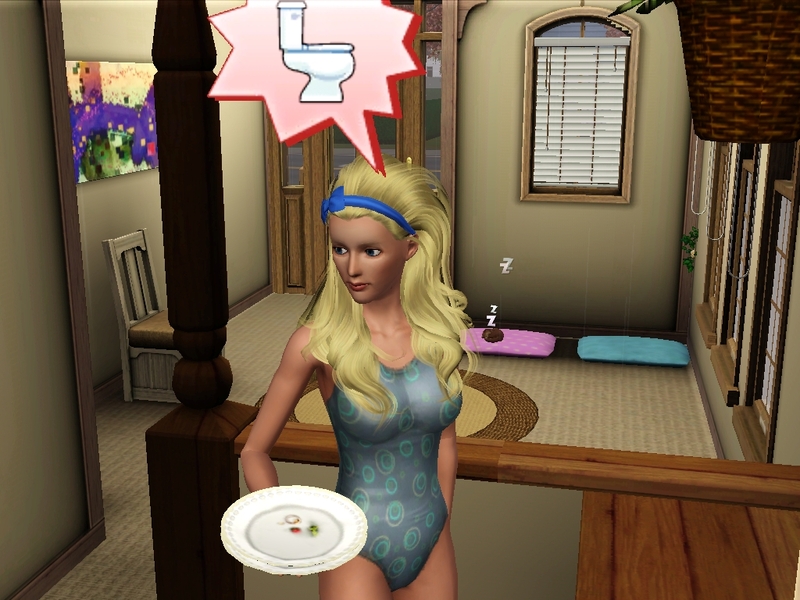 I figured that way, when I broke the news that we were having a baby, it would be less shocking than eating dirt. Hetal took it well, I think. I hope so. Then her cell phone rang. It was some guy named Jules MacDuff. Hetal looked kind of uncomfortable talking to him. When she hung up, she told me that she needed to head out, and I had nothing to worry about. Why would I have something to worry about? It rained all day, and Hetal didn’t come home. I kept busy fixing up appliances around the house. 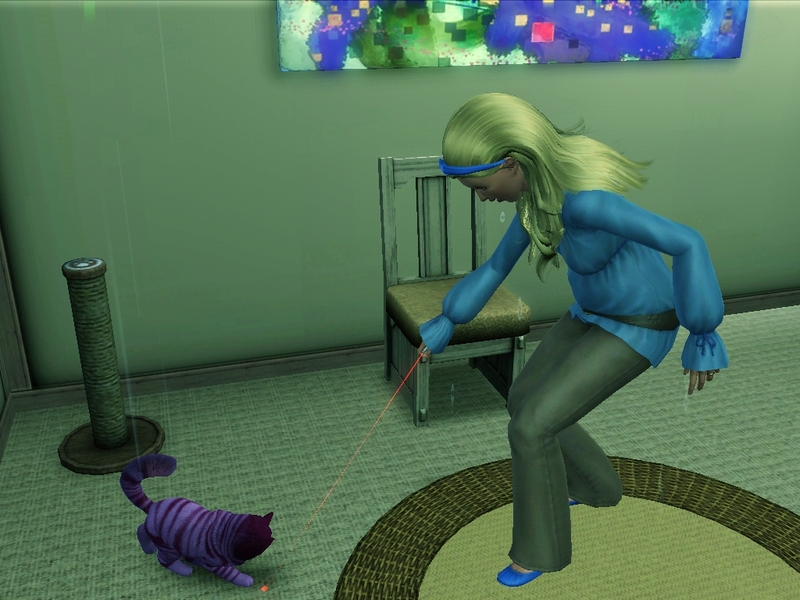 And playing with my kitties. And complaining about the new furniture. Oh, and my mother-in-law Jin had a birthday. She claims that she had Hetal when she was really, really young. By my math, she would have had to be in grade school when Hetal was born. I wonder if she’s lying about her age. Night fell, and Hetal still hadn’t come home. I started to worry. 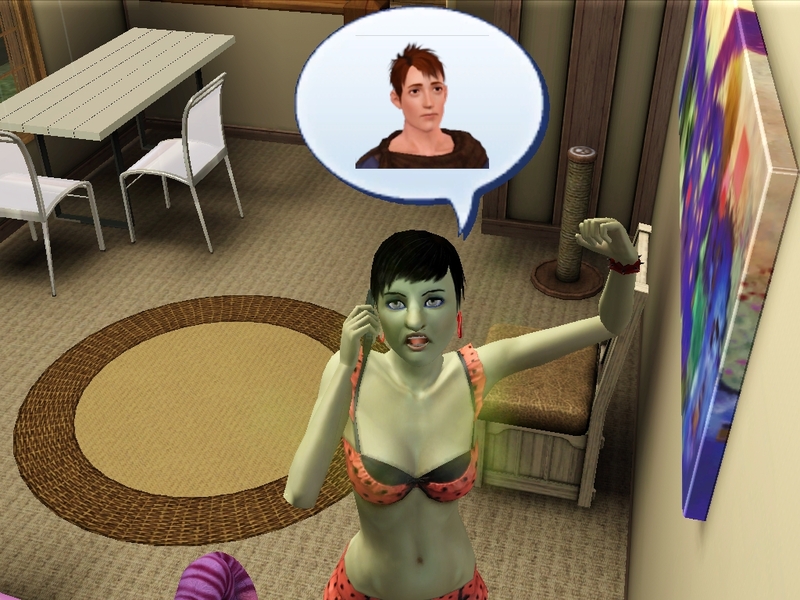 When Jin heard that Hetal was talking to this Jules guy on the phone, she didn’t want to talk to me about it. What if Jules was some kind of stalker guy who would kidnap my love and lock her in a room where she could do nothing but sing to him and cook him pancakes? Like she cooks me pancakes? I had to take a deep breath. Hetal’s a big girl. She can handle herself. I headed off to bed alone. I don’t like to sleep alone anymore. Then my phone went off at 3am. “Allisssson? Izzat you?” said the voice on the other end of the line. “You want your pregnant wife to go out in the pouring rain to pick you up at a bar? ?” I demanded. I hung up and went and got her at The Toadstool. It closed at 2am. After they kicked her out, she’d stood under the awning and watched the rain for over an hour before she even called me. Jules MacDuff was with her and a bunch of other people including two fairy kids. It was really crowded under that awning. The whole area smelled like pee, and some of it was Hetal’s. So I rode home on the bike alone. She met me there. We stood together, dripping on the carpet of our new home. I was soggy all the way down to my baby bump. 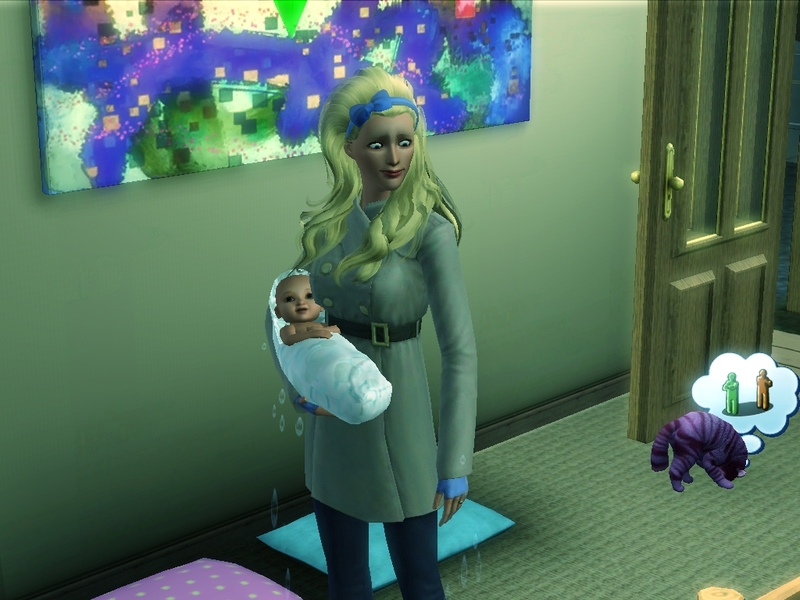 My baby was probably soggy too. If he or she caught a cold and was coughing and sneezing in there, it would be all Hetal’s falt. “I can explain,” Hetal said. So it turns out Jules MacDuff was her boyfriend in high school. He was graduating today, and he called her to invite her to his party. Jules was a real puppydog kind of guy, and he still thought there was something between them. She wanted to see him as soon as possible, so she headed to his party to make it clear that they were now just friends. When she got there, she stood out in the rain for a long time before anyone came to the door. Then it was his sister, who said he’d already left. So she called him up to find out what the heck was going on. He apologized and said he’d meet her someplace. She told him to meet her at the Toadstool. Then she went there and hung around all afternoon, but he still didn’t show. So she called him again. He said he’d be right there. This time he came running in wearing his cap and gown. Turns out that graduation had been this afternoon. Why hadn’t he just said so?? She didn’t waste any time telling him the news. He didn’t take it very well. 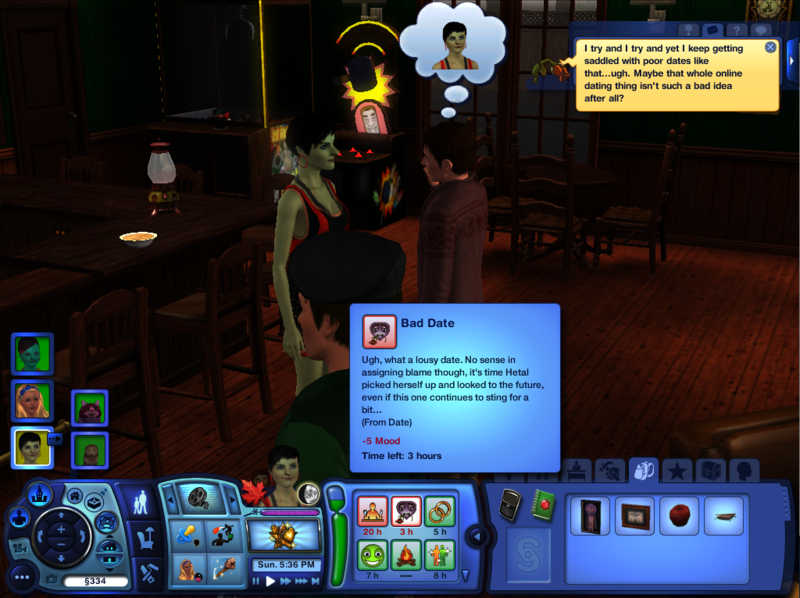 He swore she’d invited him out on a date, and he gave her a really hard time about it. But then he swore he didn’t want to be around her anymore, and he was going to go straight home, but he didn’t. He hung around, and they had a drink together, and then another one, and another one…. And then the bar closed and kicked everyone out, which is where I found her. I admit, maybe I wasn’t being a very supportive wife, but I was pretty ticked off. It was too late to talk about it anymore, so we went to bed. When I got up in the morning, I felt a lot better. I mean, Hetal had gone to all that trouble in the rain to break it off with her old boyfriend. She must really, really love me. 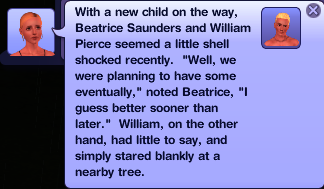 And we were having a baby together now. I think it was time to leave the past in the past and focus on having a wonderful new life together. I’m sure there wouldn’t be any more trouble with this Jules guy anyway. The next day, I went out to check the mail. Mixed up in all the bills was a note from William Pierce. Apparently he and his fiancee are expecting a baby too! Wow, we’re going to have kids the same age! Isn’t that an amazing coincidence! I wonder why they didn’t get married first. Oh, and there was a note to tell us to pick up a… really big wedding gift. So Jules sent us a wedding gift?? That must mean he’s totally over Hetal and wants us to be happy together! I’m so glad he spent a lot of money to tell us that, because selling that table really helped us pay our bills. Then things started to really, um, hurt. Our neighbor Oberon totally freaked out and helped me get to the hospital. It was still raining. It’s a wonder the whole town hasn’t flooded. But Hetal came running as soon as she heard. She was with me every moment of the excruciating childbirth. I love her so much. Our little boy was born pretty soon after that. His name is Branden, and he’s our little angel. Wow. We’re parents now. Can you believe it? Introducing Branden Wonderland, the first of Generation 2! And I made it! All the way through a pregnancy in one post. Of course, it was easier now than when there are more people in the house. Branden is Good and Insane, and he’s a Witch. His favorite color is even white. We now have a Good Witch and a Bad Witch in this house. I wonder how that’s going to work out when they grow up. Sadly, he didn’t inherit either Hetal or Jin’s skintones. Oh, I never gave you Hetal’s traits. She’s Flirty, Great Kisser, Clumsy, Evil, and No Sense of Humor. The last one is what she added when she aged up, and it doesn’t seem to suit her that well, but what can you do? Oh, and her LTW is Master Romancer, for Heaven’s sake. 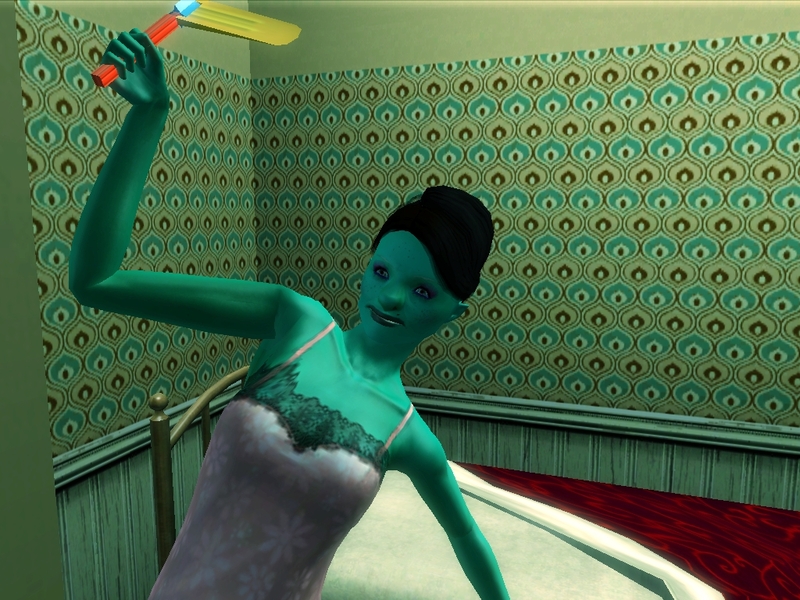 This girl is a real femme fatale. Allison may be in for some rocky romance in the future. ARRRRGH MISSING PICTURES!!! How do these things happen?? I’ve looked all over for the shots of Hetal’s misadventures tracking down Jules to break off a dangling romantic interest. The whole thing was frustrating, but hilarious, and it would have been funnier with pictures. 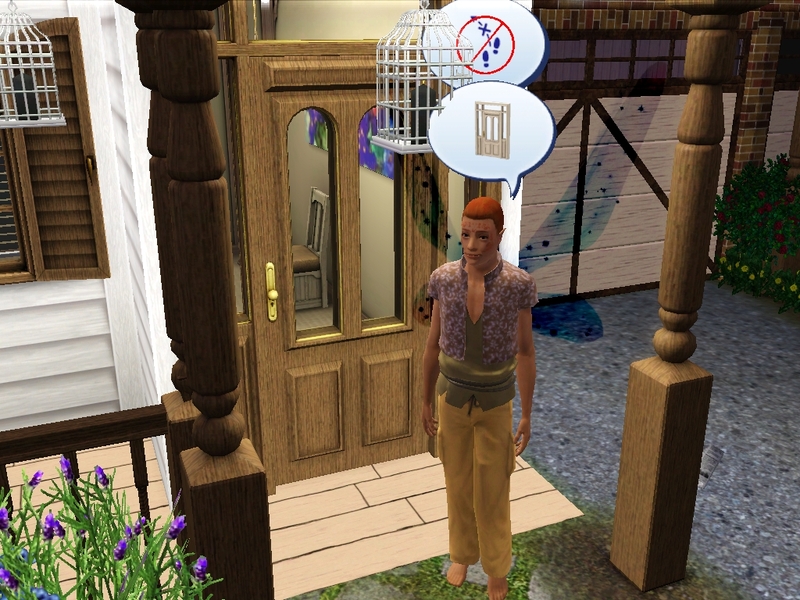 It would be so nice if a townie sim would know that he’s going to graduation and notify you of that instead of accepting invitations to meet and then not showing up. After the Toadstool closed, there was some kind of glitch, and nobody went home. They just stood there at the door, complaining about being tired and peeing themselves. So of course I got my first self-wetting. I finally hauled Allison out of bed and sent her to the bar to see if she could go home with Hetal. As soon as Allison showed up on the lot, the spell was broken and everyone headed home. I took this funny shot of Allison getting off her bicycle in the rain, and Hetal walking right past her to get into a taxi to go home. I will point out that I wrote my house rules about considering all actions required to break off a romantic interest to be one action before this happened, but I wasn’t visualizing quite so many actions. The serial numbers in my screenshots folder are sequential, but I’d swear I looked at those pictures. It makes me wonder if there’s some circumstance that leads the game to start at the wrong number and overwrite old screenshots. At any rate, I took a few Mac screenshots to get the notification messages, and we’re stuck with this. You can imagine it. Yay! A baby! I'm impressed that you made it in one post, too! 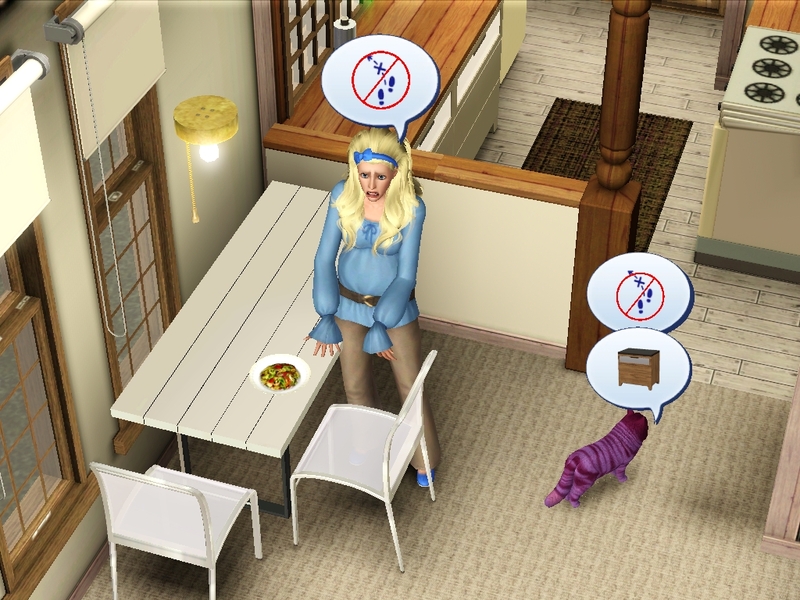 Though I have to feel a little sad for Branden… his mom's wearing a coat but he just gets a soggy blanket. I'm glad that you got Hetal's romance with Jules sorted out, even if it did take all day. I can just picture the people all crowded around at the entrance of the Toadstool. Poor Allison, married to a flirty good-kisser romancer! The whole thing was hilarious to read! Too bad some of the pictures got lost. I hate it when that happens. 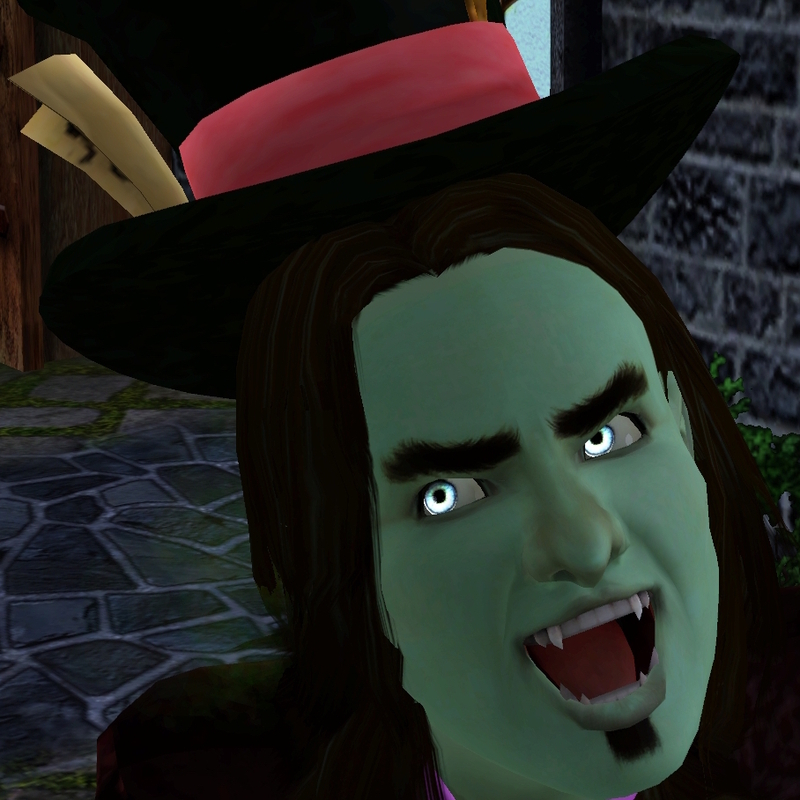 Aw Branden he looks cute, and he's a witch yay, wonderful chapter! Thanks for coming over and reading! I'm having a lot of fun with this legacy. Yeah, the crowd as the Toadstool seems like the kind of glitch that gets familiar after you've been playing this game for a while. You'll notice they changed Branden's blanket when they got home, so at least Allison isn't leaving the poor kid to catch cold! Funny how two girls can have a baby boy. Don't worry about the missing pictures. 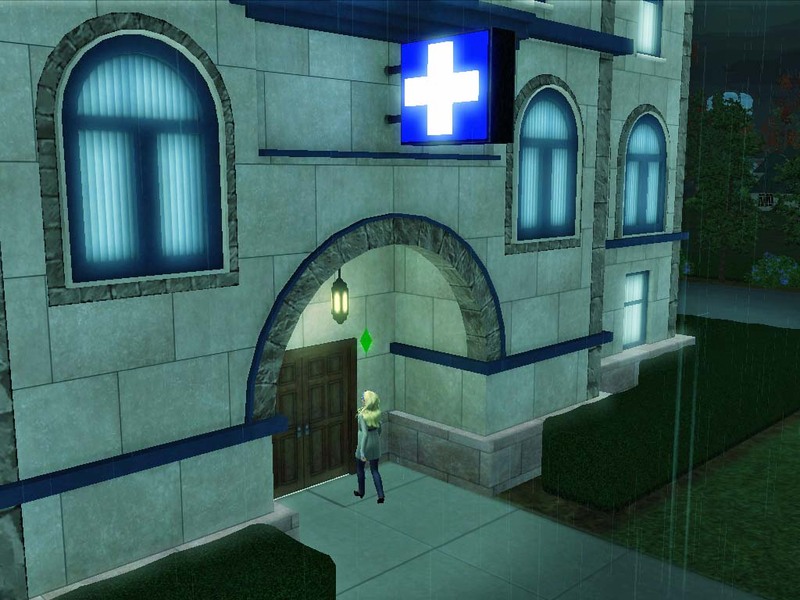 I pictured it all … the randomness that happens in the sims 3. I wouldn't have been as forgiving as Allison though! You couldn't have planned Branden better (good witch who likes the colour white). In fact, it's probably better that he's got Allisons skin tone as they both resemble the witches from the Wizard of Oz. A bit of a different slant on it though. Bwhahaha! 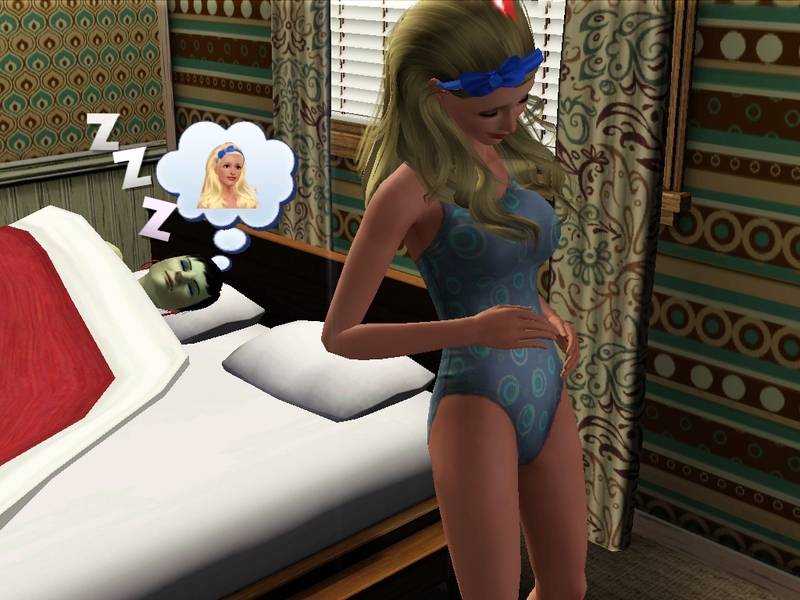 Only in the sims to two girls get pregnant the old fashioned way :). I think it's hilarious that Branden turned out to be a good witch. I hadn't thought about the Wizard of Oz, but that's an awesome connection. I am busy playing the Samples right now, and apparently I can't find the brain to post, but there's more story to tell soon! Oberon Summerdream, there's a blast from the past, heehee. I did not notice his wings until the picture of him doing the birth panic dance, then I had to scroll back up to see if I'd overlooked them? (of course I did!) Is he a downloaded sim or EA? That was a cool way of putting it, that Allison 'broke the spell' when she got to the lot. 😀 A very weird glitch. 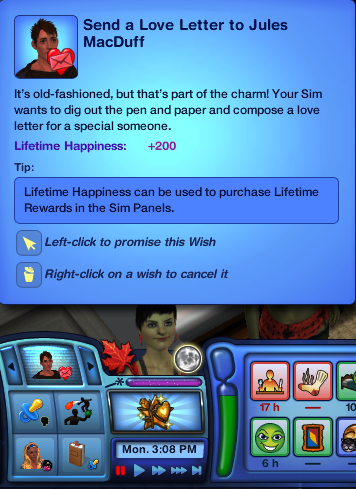 The saga of the dangling romance… only in the sims. Although it was nice of him to give you a wedding present. Again, weird…but nice. Hee hee. Good and bad witches…can witches change their allegiance? Although with him having the 'good' trait I don't suppose he could go bad, is there a neutral? Oberon must be EA, because in my Moonlight Falls Titania runs the elixir shop. Hehe. Oberon is totally an EA sim. 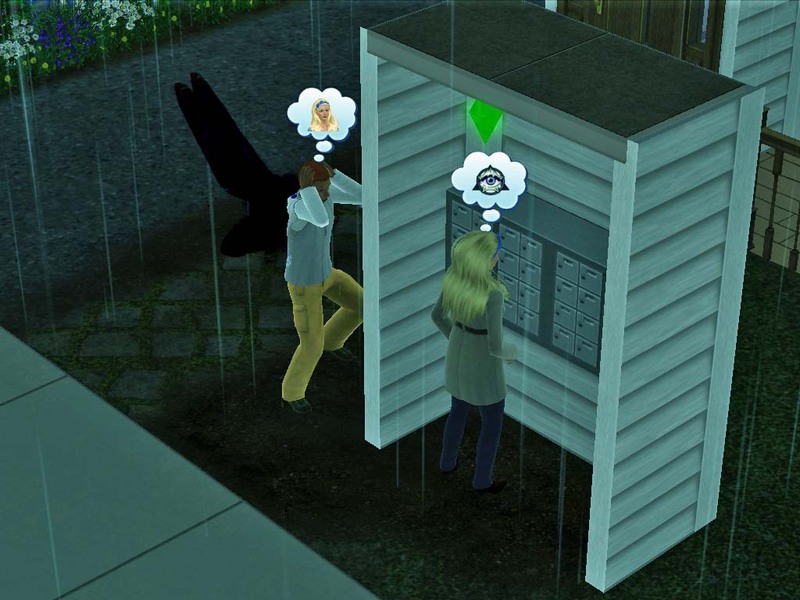 I added some interesting EA sims to the apartment doors to avoid getting bland auto-generated neighbors. LMAO, that was some adventure of Hetal's! So annoying when the idiots have RIs of their own, very difficult to break off the romances with just one action. The only time I know of that the screenshots start re-numbering is when you take the photos out of the screenshots folder – personally, I do that often, since lots of screenshots slows down my game. But then, I rename every single one of my photos, a bit ocd like that. I've been trying to figure out if lots of screen shots slows down my game or not. It doesn't SEEM like it should make any difference, but other things that ought to be irrelevant do cause a problem.. I remember the events of Hetal's attempt to break things of with her RI, and I still don't know what happened to the pictures. My only guess is that for this one play session, the "C" button wasn't actually saving the pictures. I didn't do anything with the Screenshots folder. I like my screenshots to number through a generation, then start over. Since I wrote this, I have written a little screenshot renumbering script so that I can remove screenshots from the game folder, then renumber the new ones so that they'll match the old ones. I definitely missed the pictures, but I could imagine what they looked like based off the captions! Do witches have longer lifespans? I think I’ve asked this before… I’ve never played with any of the supernaturals or even Moonlight Falls. I love Allison & Hetal & Jin. And the kitties too! Nice to meet little Branden! I hope he gets along with his mom and grandma just fine, seeing as he’s good, and they’re not!